WANT TO HELP A FRIEND QUIT? 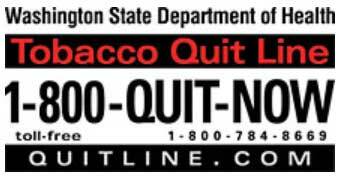 Call the Washington Tobacco Quit Line at 1-800-QUIT-NOW (1-800-784-8669) or visit QuitLine.com. FREE confidential counseling designed to fit your needs. You may also be eligible for FREE nicotine replacement products. 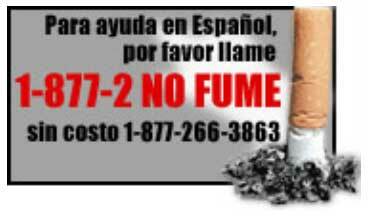 La Línea para Dejar el Tabaco del Estado de Washington, 1-877-2NO-FUME (1-800-266-3863) QuitLine.com en Espanol La línea para dejar el tabaco no es su número típico 1-800. No se trata de vender nada, y no es un enfoque "de talla única". Está diseñada para ayudarle a tomar el control de su intento para dejar el tabaco. NEED INFORMATION ABOUT LAWS AND POLICIES? QUESTIONS OR COMPLAINTS ABOUT SECOND HAND SMOKE? To register an anonymous complaint regarding Second Hand Smoke violations (Smoking in Public Places Law, RCW 70.160), visit SmokeFreeWashington.com, Click on “Laws and Policies”, then “Register a Complaint”. Choose Clallam County from the list or call 360-565-2608. QUESTIONS ABOUT SMOKING IN APARTMENT BUILDINGS? 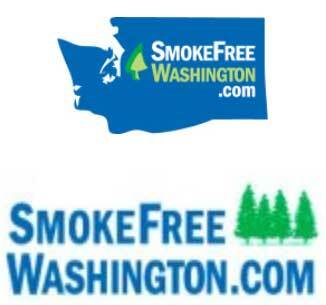 SmokeFreeWashington.com has lots of information for tenants and landlords.